Most books have value because of what is written in them, some rare ones are valued simply because of the idea that became the book. 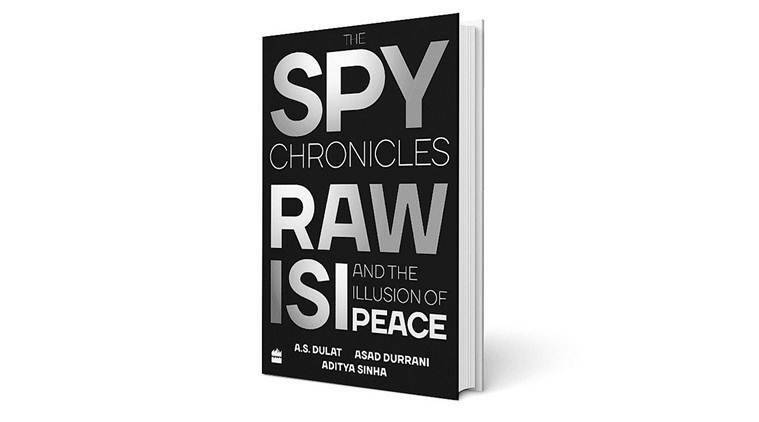 The Spy Chronicles: RAW, ISI and the Illusion of Peace falls neatly in the second category, where the idea of getting a former Pakistan intelligence chief and a former Indian intelligence chief together in a dialogue format is powerful and enticing. The job of bringing together former R&AW chief AS Dulat and former ISI chief Lt General Asad Durrani (retd), has been done by journalist Aditya Sinha. However, anyone looking for explosive revelations on recent events from the two retired spymasters is likely to be disappointed. Dulat was head of R&AW from 1999 to 2000, and moved out of Atal Behari Vajpayee’s PMO in May 2004. Durrani headed ISI even earlier, from August 1990 to March 1992, and has been popular on the Track-2 circuit in the past decade. A lot of water has flowed down the Indus since and the two spy agencies now operate in different worlds, but their insights are nevertheless guided by institutional experience and understanding, and add to the perspective of events. The strength of the book is its format, where Dulat and Durrani are in a dialogue, mediated by Sinha. It allows the two distinct voices to come through, with their agreements and disagreements coming to the fore. A co-authored book would have killed the individual voices, and it would have failed to capture the to-and-fro — the tensions and the camaraderie — between the two. But the book is not without its revelations, some of which have already made their way into media reports. In 2015 Durrani’s son, who was working for a German firm, was stranded in Mumbai after he failed to follow the procedure for police reporting at Kochi. Durrani was worried — a former ISI chief’s son on a Pakistani passport in Mumbai, where the terror attacks had taken place in 2008. Among other people, he rang up Dulat, who said that he would do something. He reassured Durrani, “Our boys are on the job and, Inshallah, he will fly out of Mumbai in the evening. You believe in Allah and I have full faith in Waheguru, all will be well”. Dulat got hold of Jeevan Virkar, an old friend from his Intelligence Bureau days and said, “Bhai, yeh karna hai”. An ex-colleague from R&AW was also tapped by Dulat — his name has been redacted as he is currently serving in Narendra Modi’s PMO after retirement — who helped Durrani’s son get out. When Dulat called up his ex-colleague from R&AW to thank him, he responded, “It’s our duty. After all, he’s (Durrani is) a colleague”. The brotherhood of spies, if ever there was one. Durrani also doesn’t have a high opinion of the American CIA, having worked closely with them during the first Afghan War. Dulat agrees, crediting the CIA with a lot of influence in the media. But the book goes beyond that. The two former spies speak on a vast range of subjects in a freewheeling fashion, from Kashmir to Afghanistan, from Trump to Putin, from Osama bin Laden to Hafiz Saeed, and from the surgical strikes to Kulbhushan Jadhav. There is a whole chapter about their assessment of the current Indian NSA, Ajit Doval. Even though the book is anchored in Dulat and Durrani’s background and expertise, it would be a mistake to read it as one focused on the two intelligence agencies. The book is, in fact, about the two individuals who happened to head these agencies at one time. They do talk about the ISI and R&AW, as professionals, and share candid assessments of their strengths and weaknesses. The ISI has a gained a larger-than-life image globally, courtesy its portrayal in the Western media following the American involvement in Afghanistan. The R&AW does not generate the same recall and is not seen to be as sinister as the ISI, at least by Indians. While Dulat maintains that the ISI is the better intelligence organisation because of its influence, Durrani feels that R&AW has an advantage because it has career intelligence officers, unlike the ISI, which has military officers. Dulat says that Kashmiris who had seen Indian agencies and had worked with the Pakistani ones, felt “that our guys were generally better. Pakistan has some fine officers but they may not have an Ajit Doval”. The book does nothing to dispel the notion — that says more about the ability of Dulat and Durrani to smoothly keep secrets than about the contents of the book.